show, allowing characters to work together on another field of battle entirely – the baseball diamond. A Vulcan ship arrives at Deep Space Nine, led by Captain Solok. Sisko remembers Solok from school, and the two have had a rivalry ever since. Solok, who is quite arrogant about his race’s physical superiority, challenges Sisko to a game of baseball in the holosuite. Baseball is Sisko’s most beloved game, so he takes the challenge very seriously, whipping his “team” into shape. He confides to Kasidy that Solok beat him in wrestling when they were younger, and so he couldn’t bear losing to him again. The game finally arrives, and the Vulcans decimate them, with a final score of ten to one. 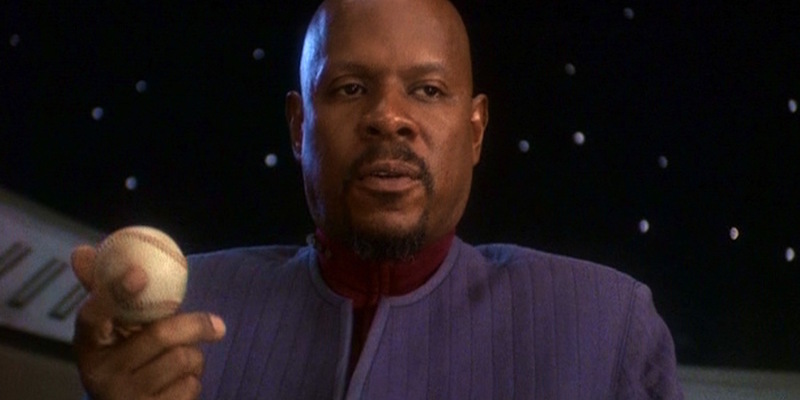 Sisko realizes that it doesn’t matter that much and that it was the journey with his team that mattered. This is an episode that shows a lot of humanity, and works well as a parable.